Plibrico Company, LLC has announced that its Salem, Ohio operation has been acknowledged by the Ohio Bureau of Workers’ Compensation (BWC) with the BWC’s 100 Percent Award, in recognition for achieving one year without an injury resulting in a day or more away from work. A study conducted by the National Safety Council confirms that safe working environments can create other benefits related to work quality, which may impact customer satisfaction. The results of the study demonstrate that customer satisfaction and a company’s safety environment, including injury rates, were significantly correlated. Workplace safety is not simply an issue of doing the right thing or avoiding lost-time and injury costs. According to the BWC, there are positive business outcomes to be gained in the form of improved customer satisfaction. 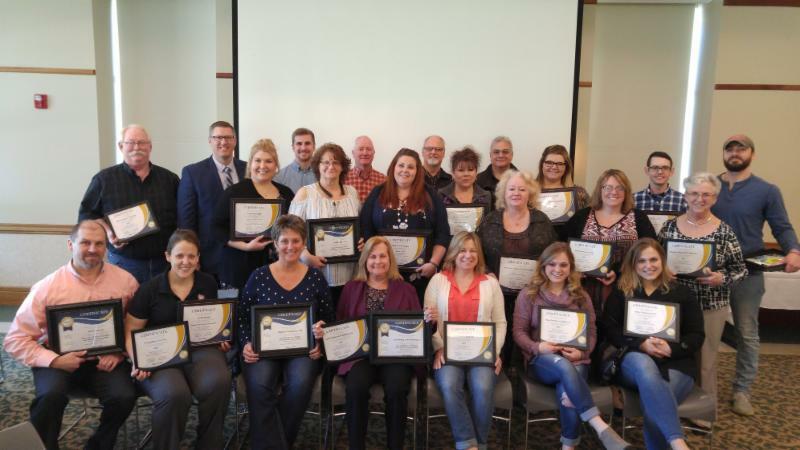 Plibrico was one of thirty-seven employers in the Salem area that earned recognition from the BWC. Awards were presented during the Salem Area Safety Council’s annual awards ceremony last month. The company’s Salem office manufactures its Redi-Shape™ precast refractory shapes, as well as providing a full-line of refractory solutions including installation and mechanical services.